That's just a short while after the first Moto X 2014 models were given 5.1 updates, and about three months after Google officially announced Lollipop 5.1 itself. (There are still plenty of high-end Motorola phones, like carrier models of the Moto X 2014 and Verizon's flagship DROID Turbo, that still haven't received the 5.1 OTA.) 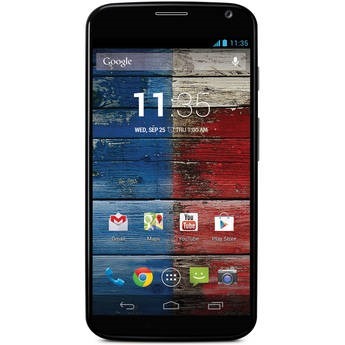 AT&T, Verizon, and Sprint variants of the original Moto X may have to wait a few more weeks. Motorola's release notes mention that this version of the Moto X build is 222.21.15, but don't say how big the download is - you'll need to connect to a Wi-Fi network to get it, anyway. The extensive documentation doesn't include anything that's not already in Android 5.0 or 5.1, so don't expect too much that's new on the Motorola side of the software. Remember that Android 5.0 and later will block updates if any modifications are made to the system partition, including root.